Do you sometimes feel that you are not loved by friends, family members, or a spouse? If so, you’re not alone. A precious Biblical figure found herself married to a man who didn’t love her. Leah suffered emotional stress because of her marital situation. But she stayed the course, and God showed up to fulfil her desires in ways that we can praise and thank God for to this day. Leah and her younger sister Rachel were born into an Aramean herdsman family, which explains why they were given herdsman names: Leah means wild cow and Rachel means ewe. Leah’s name might also be related to the Hebrew word laah (לָאָה), meaning to be weary or impatient, which certainly fits her emotional struggles. By contrast, Leah is described as having weak or tender eyes (Genesis 29:17). “Weak” here is the Hebrew word rak (רַךְ), which most often means in Scripture tender and soft as well as timid, weary, and inexperienced. So, we don’t really know if Leah had a vision impairment of some sort, or perhaps she was just not as pretty or socially adept as Rachel. Or maybe the word “rak” is a prophetic utterance to her royal legacy, since King David once described his son and future king, Solomon, as “young and tender [rak]” (1 Chronicles 29:1). Jewish tradition (not stated in the Bible), says that Leah’s eyes were tender because she wept constantly, pleading with God that she would marry Jacob who was blessed by God and not his brother Esau, whom tradition says she was appointed to marry. 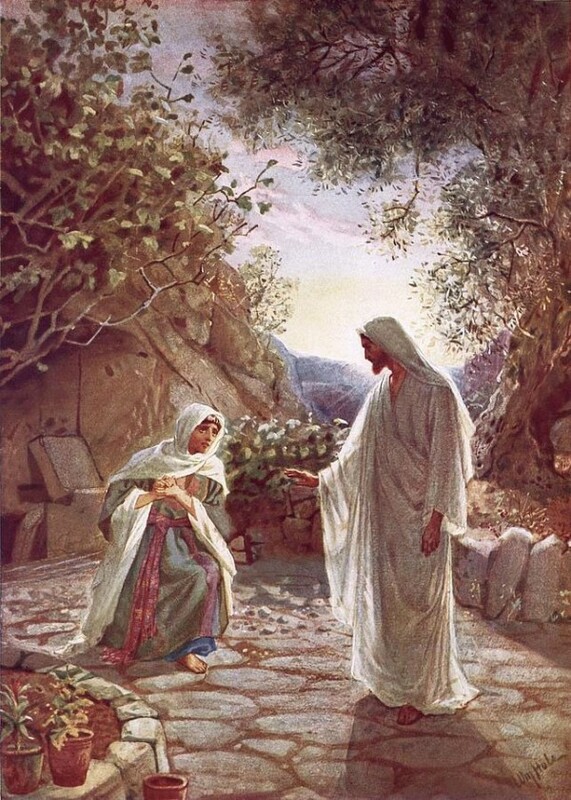 Leah did marry the patriarch Jacob, but only as a result of her father’s deception (Genesis 29:23). 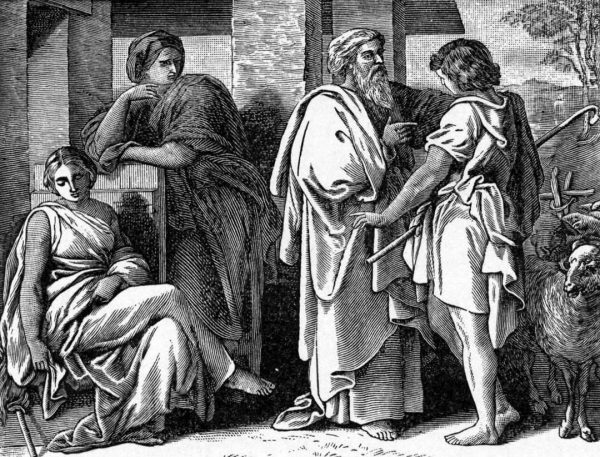 Jacob, who was the son of Isaac and grandson of Abraham, worked seven years for the hand of Leah’s attractive younger sister, Rachel. When the seven years ended, however, her father Laban placed Leah in the nuptial tent with Jacob instead of Rachel. Imagine Jacob’s shock and disappointment! 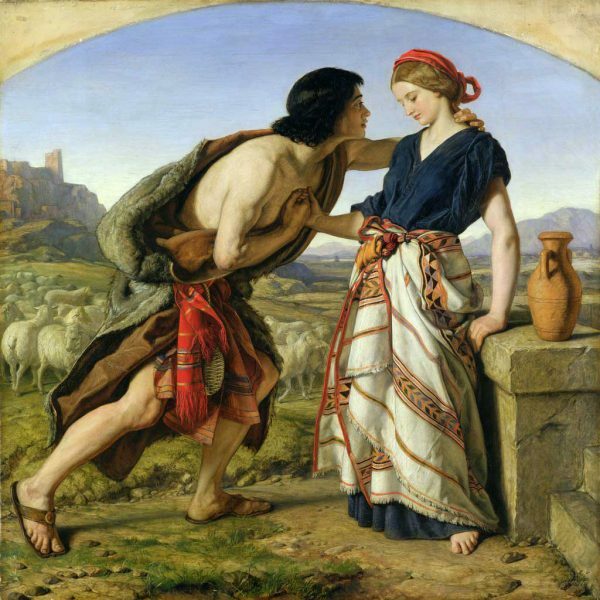 Jacob married Rachel a week later, but Laban required him to work another seven years for her. Jacob agreed because of his immense love for Rachel. In His great wisdom and compassion, the all-loving God of Israel saw Leah, the unloved, and redeemed her pain. In her weakness, YHVH showed Himself strong. God poured out His love on Leah by giving her a son. She understood this was the work of the Lord, saying: “The Lord has seen my misery,” so she named him Reuben which means “see, a son” (Genesis 29:32). But bearing Jacob’s firstborn son did not make Leah feel loved by Jacob. In the midst of her heartache, God who also longs for relationship, was taking Leah on a journey. He wanted her to see that no matter how much a human being loved or did not love her, it could not compare to the everlasting love and security given by Himself. So He poured out His love a second time, and she bore a second son, Simeon. “Now finally my husband will become attached [lavah] to me, because I have borne him three sons.” So she named him Levi [layvee]. The name Levi is a kind of wordplay on the Hebrew word lavah, which means joined or attached. 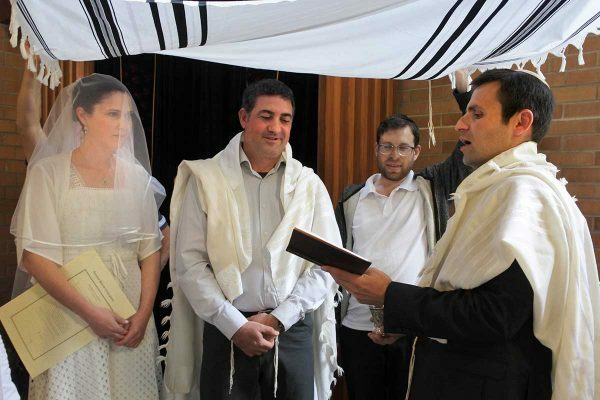 Jewish bride and groom under the chuppah (canopy) of a tallit (Jewish prayer shawl), symbolizing God’s covering over their covenant of marriage. Certainly, God wants husbands and wives to become attached to each other in an intimate way, emotionally and physically “as one flesh” (Genesis 2:21–24). However, He first wants us to become attached to Him, emotionally and spiritually. Yehudah is another wordplay, this time on the Hebrew word yadah יָדָה meaning praise, confess, give thanks. 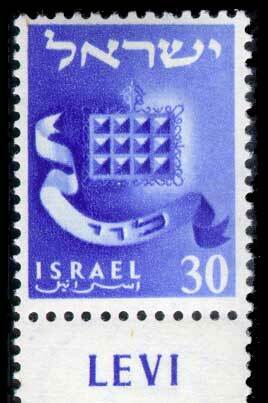 This 1955 Israeli stamp of the Tribe of Levi depicts the breastplate that the High Priest wore. Leah had come a long way on her journey. An unloved, rejected, and disappointed woman had decided that it was time for her to praise the Lord, confess out loud her thanks, and find her joy in being attached to Him! Then, suddenly, Leah entered a season of barrenness. Not because God no longer loved her, but perhaps because she had finally learned how to become joined to Him, and that satisfied her. As we will now see, God is still fulfilling Leah’s deep desire for attachment (lavah) through her offspring, and we are blessed by it to this very day. 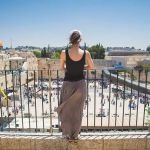 Leah’s lasting legacy started with Levi’s great-grandsons: Moses who was Israel’s first deliverer, along with his brother Aaron, who was his mouthpiece to Pharaoh. 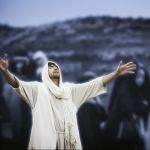 God joined both brothers to Himself in powerful ways: Moses as His friend and Aaron and his descendants as His priests over the nation of Israel. 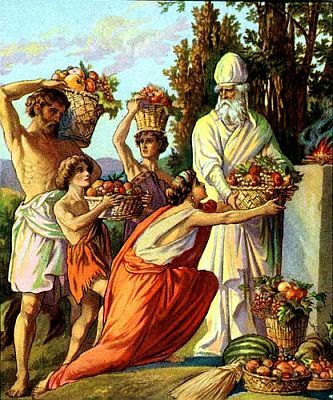 The Jewish People brought a portion of their first crops to the Temple as a Thank Offering on the Feast of Firstfruits (Bikkurim). Only priests were allowed to personally consume this offering. But instead of receiving land as their inheritance, like each of the other tribes of Israel (sons of Jacob), the inheritance for the tribe of Levi was an intimate attachment to the Father. Just as a father shares his good fortune with his children, God shared with the Levites a portion of the tithes and offerings that the people gave to Him, so that they would not lack (Numbers 18:8–14). This is a picture of the relationship God longs to have with all of us, who are now known as part of His kingdom of priests — those who have placed their faith in His High Priest, Messiah Yeshua. 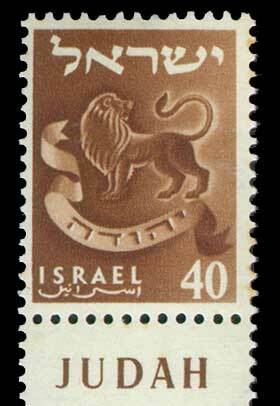 This 1956 Israeli stamp depicts the Lion from the Tribe of Judah. 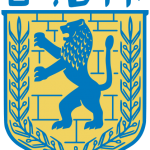 Lion of Judah or Ariyeh Yehudah is one of the names of Messiah. Just as Leah praised the God of Israel, we are to declare the praises of Him as well and remember that He is our inheritance forever. These blessings came to pass as Judah became the tribe of kings, giving rise to King David, Solomon, and eventually the King of Kings, Messiah Yeshua. Through Leah’s Legacy, Yeshua became our King of Kings who would also experience the rejection of man. 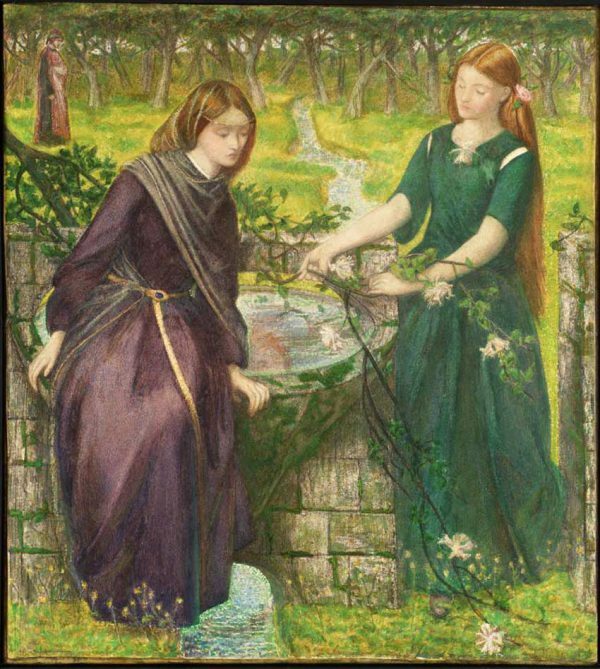 Though at times Leah felt less valued and loved than Rachel, later generations honored the two sisters equally as women who “built the House of Israel” (Ruth 4:11). Indeed, Leah bore six of the patriarchs of the twelve tribes of Israel: Reuben, Simeon, Levi, Judah, Issachar, and Zebulun. She also bore one daughter, Dinah. Jacob buried Leah at Machpelah, the cave in Hebron, Israel where all the Jewish patriarchs and matriarchs are buried — except for Rachel. She was buried on the way to Bethlehem after giving birth to Benjamin (Genesis 49:29–32, 35:19). 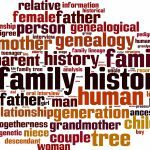 This means more than we might imagine, since it shows that by the end of her life, Jacob esteemed Leah enough to place her in the ancestral place of honor, where he himself would be buried. 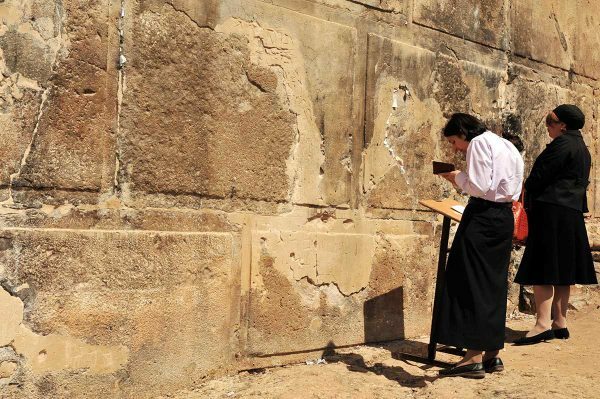 Cave of Machpelah: Jewish women are praying outside the Cave of the Patriarchs or Cave of Machpelah (literally, double tombs) in Hebron, where Abraham, Sarah, Isaac, Rebecca, Jacob, and Leah are believed to be buried. When Leah chose to lift her eyes off of her circumstances and confess her thanksgiving to the Lord, any jealousy and envy toward her sister and Jacob began to fall away from her heart, setting her free to love and be loved by Jacob and others. That is God’s heart for each of us as well. Please support our ministry to the Jewish people and the nations. 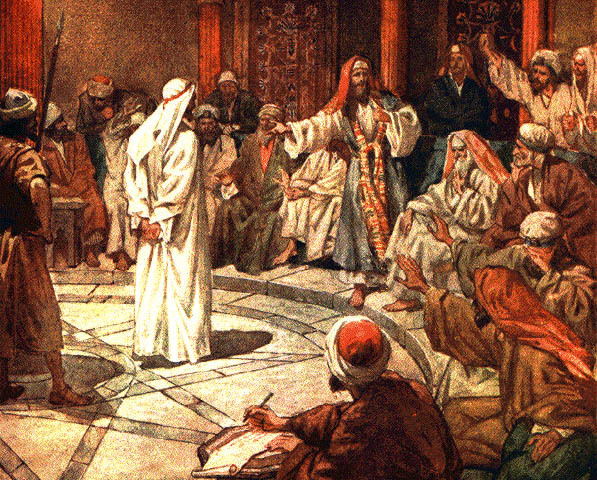 Does Yeshua Pass the First Test of Messiahship?